Avoid costly clean-ups and potential fines, with the IFH Spill Containment System for use with the IFH Storage Racks. 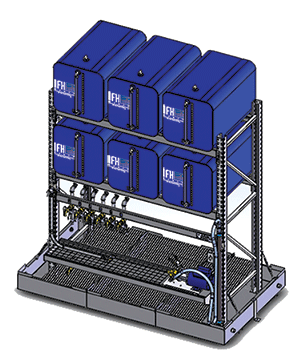 The IFH optional Spill Containment System can help you avoid costly clean up and potential fines. NOTE: If you submit this form and do not see a confirmation page, please review the form to make sure all required fields are completed.